I’ve always been a hyper-organized person. Credit that to my birth order as FIRST in the family and the sign I was born under. Any other Scorpio’s in the house? Not sure if true but it makes complete sense in my case so let’s go with it. IRL, my job was to keep the executive’s I served on top of their game and on time and now as CEO of my own biz; it’s more important than ever that it runs smoothly. Organization can be a learned trait if you find a system you enjoy and keep with it. For me, I use paper planners and electronic reminders that mimic each paper entry. Double dipping at its finest! You may decide that online calendars rock your world. Just be sure to choose something that you’ll actually use or you’re just wasting time. We DO NOT have time to waste Ladies. Schedule every last second. Not saying that you’ve got to place an entry for every minute of the day but block off chunks of time every day to use in certain ways. For instance, I typically eat lunch with my hubby and daughter sometime between Noon-2pm so my calendar has a big green chunk of time blocked that reads “Lunch”. Isn’t it fun to work from home and share quality time with family? Whenever I schedule appointments or errands, I know that this time is off limits. Nobody is going to take me from my loves! I find it useful to plan on a regular basis. Yes, it could be a sickness I have but that’s okay. I plan, plan, and replan again. That way nothing is missed and all tasks and time frames are accounted for. 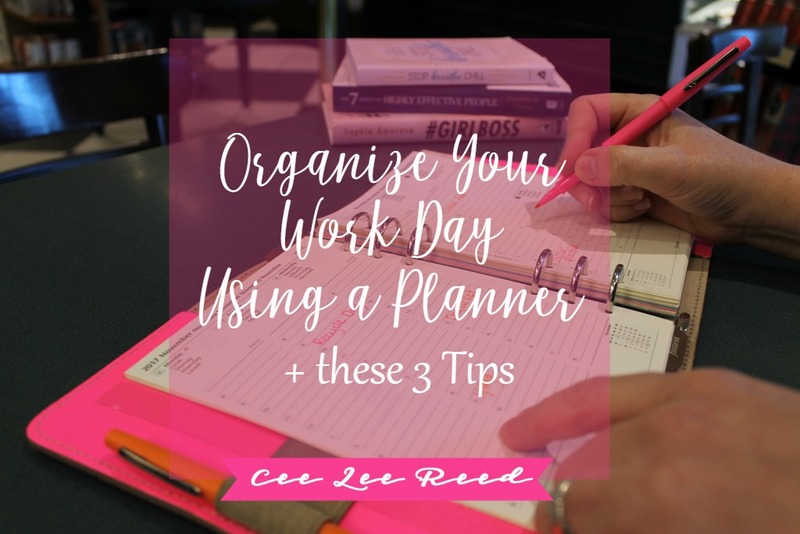 You may prefer to wake up and simply plan each day as it comes; most important is to do whatever helps you organize your work day best. TIP: I find it takes too long in the morning to formulate a plan of attack so I plan the Sunday before. I would never let down a client by missing a meeting; you shouldn’t either. Fill in all of your personal appointments on the monthly calendar layout. Block off any external work time and driving time. Enter the days that you tidy up the home or pay bills. Enter birthdays you need to remember. Block off your launch dates. Mark down any appointments that you or the kids and hubby have. The point is that you want to get a high level view of everything you have planned for the month that you know about right now. Any new items are added to this calendar and can be copied over to the appropriate week or day view as the date approaches. If you’ve decided not to use a monthly spread, then you would just flip to the exact date of your event and record it. This method will save you time but be forewarned that it’s highly likely you’ll miss something if you limit your views. Once a week on Sunday night, I go over my monthly calendar and pull out that particular week’s events and add them to my weekly calendar view (paper planner). An electronic version like Google Calendar is setup to change between monthly/weekly/daily views with a click of the settings button so it will be faster to use. You may prefer to organize your work day using an online calendar but I find there’s something magical about writing tasks down with a good old fashioned pencil; helps my brain ingrain the information into memory. Move items from the monthly calendar (don’t erase, just copy) onto the appropriate week. Add in anything that came up since your monthly review. Believe me, there will be items. Purge any tasks that can be deleted or delegated to someone else. 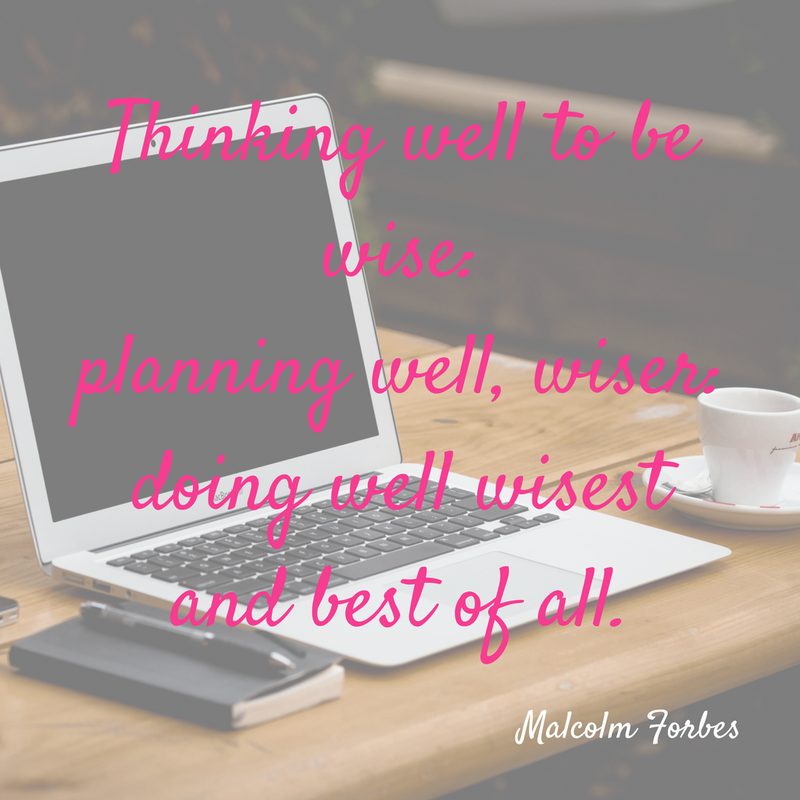 Every morning when I finally sit down in my little pink office, I review the weekly calendar items that I’ve recorded and decide which tasks need to be worked on that day. Sometimes, this is done the night before depending on my mood. Regardless, every single day I have a plan of action for working on the Top 3 project tasks that will move my business forward. What’s “Top 3” you ask? It consists of those three items that have to be done today no matter what. For me, these are usually bite-sized tasks that are part of a larger project or goal. Remember how you created thos action steps for every goal you made this year? Each of those action steps need to be done so drop them on your Top 3 and you’re good to go! I have tabs in my organizer to highlight keywords that keep me organized. One of the tabs is important information. Yes, I know that most of it’s on my cell phone however, having a hard copy for quick use and ICE (in case of emergency) makes me feel better. Have you ever lost your phone charge and been stuck? Or been inside a building without coverage? On the rare occasion that you leave your planner at home and need a contact number, your hubby can quickly access the information too. 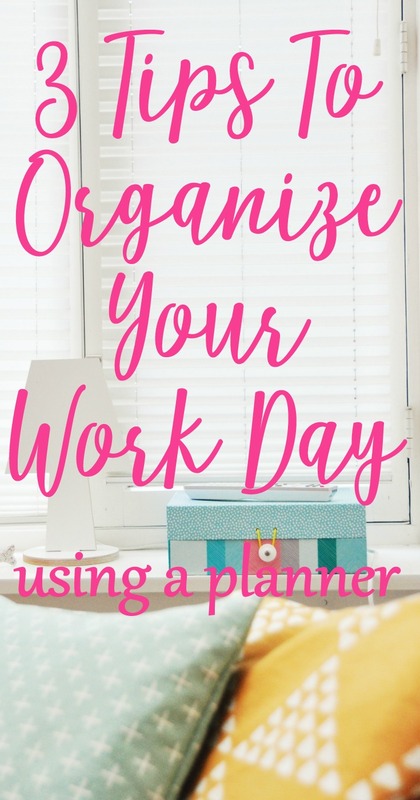 Think ahead to organize your work day better. Contacts (brand rep, doctors, friends, grandma, etc). Medications. In an emergency this could save your life. Work with me package prices and links. Business cards. You’re going to meet clients while out and about. Birthday gifts. I write down all of the hints that my family drops throughout the year. Keep a notebook for recording expenses, notes or mileage. Create tabs that reflect what is going on in your life. You may have habit trackers, launch calendars, baby feeding schedules or the email address for your lawyer (okay manicurist) instead. My online calendar friends don’t fret, you can create lists or links to these items with your mobile phones and other applications like EverNote. I’m busy so I don’t always get a chance to immediately look through every piece of mail or paper that enters my office. As the Boss, I’ll have to address everything (hint: schedule time each week to review) so I tuck all of this into my organizer for later. My Filofax planner [aff link] has a leather strap that allows me to shove a whole week’s worth of paper inside it. If your planner doesn’t have this type of closure simply hole punch a pocket folder and place items in there. On Sunday evening prep sessions, everything is reviewed, sorted and responded to . I love that having the mail in one place seems to keep my kitchen counters neat! Sorry online calendar friends, you’ll have to create a different system. I’d suggest making a Command Central somewhere near the influx of paperwork. Your kitchen probably works to organize your work day. Teach everyone to place all mail and important documents that need signed into this one location. 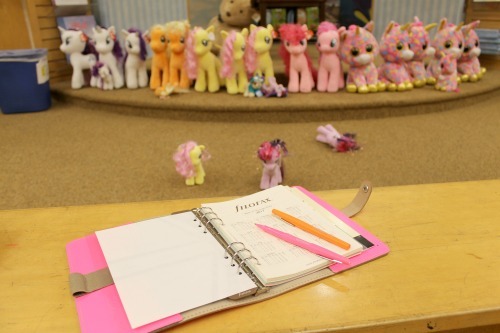 Check out Pinterest for some great tips on creating a command central. It brings me a sense of peace knowing that I’ve got my *ish together each day. You can wake up and spend valuable time wondering what to do or you can seize the day with an action plan. It’s takes very little effort to organize your work day so that you’ll eliminate mistakes, wasted time and business opportunities. Grab your favorite planner and get crackin’! What is your favorite planning tool to organize your wok day? Reply in the comments below. PS: Don’t forget to schedule time in your calendar for your self care routine. You need to be taken care of in order to grow the business you want. ← Set business goals that are keepers so you’ll finally achieve them! Pingback:Morning less stressful with these 6 tips when working at home.